This timely book brings together activist scholars from a number of disciplines (political science, geography, sociology, anthropology, and communications) to provide new insights into a growing trend in publicly engaged research and scholarship. 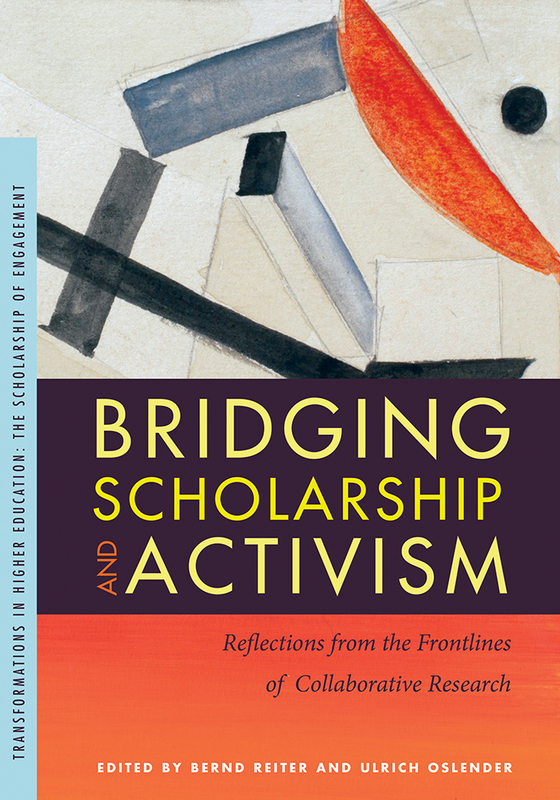 Bridging Scholarship and Activism creatively redefines what constitutes activism without limiting it to a narrow range of practices. Acknowledging that the current conjuncture of neoliberal globalization has created constraints on as well as possibilities for activist scholarly engagement, the book argues that racism and its intersections with gender and class oppression are salient forces to be interrogated and confronted in the predicaments and struggles activist scholarship targets. The book’s ultimate goal is to create a decolonized and democratized forum in which activist scholars from the Global South converse and cross-fertilize ideas and projects with their counterparts from the United States and other North Atlantic metropolitan-based academy. The coeditors and contributors attempt to decenter hegemonic knowledge and to create some of the necessary (if not sufficient) conditions for a more pluriversal (rather than orthodox “universal”) context for producing enabling knowledge, without the naiveté and romanticism that has characterized earlier projects in critical and radical social science. BERND REITER is Professor of Comparative Politics at the University of South Florida's School of Interdisciplinary Global Studies. He is author of The Dialectics of Citizenship and The Crisis of Liberal Democracy and the Path Ahead and coeditor of Bridging Scholarship and Activism and Afrodescendants, Identity, and the Struggle for development in the Americas. Ulrich Oslender is Assistant Professor of Geography in the Department of Global and Sociocultural Studies at Florida International University in Miami. "This is a timely book that offers provocative new insights to an important trend among social scientists interested in grounding their scholarship in activist convictions and public engagements. Without the naïveté and romanticism that characterized some earlier work, this impressive interdisciplinary collection thoughtfully interrogates constraints as well as opportunities the current juncture presents for activist research in its multiple modalities." "The contributors engage with refreshing self-confidence the next generation of questions—involving ethics, politics, theory and methods—that will frame this field of inquiry for years to come. In so doing, they place activist scholarship at the forefront of sorely needed efforts to remake the social sciences, leaving behind objectivity as a pretext for disengagement, focusing us squarely on the daunting societal challenges of the 21st century."